Topic for discussion: Patient-to-patient support on MDS and quality of life issues. Meeting is free to MDS patients and their family members or caregivers. 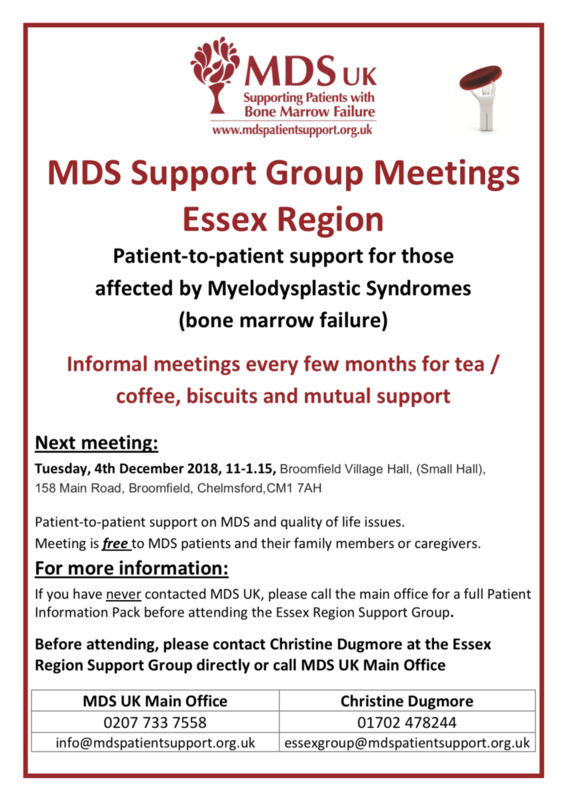 If you have never contacted MDS UK, please call the main office for a full Patient Information Pack before attending the Essex Region Support Group.